In a general philosophical sense, materialism is the doctrine that only physical, material things are real. In a political Marxist sense, materialism is the doctrine that economic conditions and transactions determine the course of history. 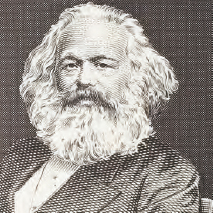 Karl Marx viewed human history in terms of a continuing struggle between economic classes (iStock).